Welcome to J.T.I. Auto Repair. Get directions to J.T.I. Auto Repair here! Providing quality car care in Pawling, New York since 2006. J.T.I. Auto Repair is owned and operated by Jerry Macchia. Jerry is a long time resident of Pawling and has been in the automotive business for over 20 years. J.T.I. Auto Repair offers honest and professional automotive repair and maintenance services to the people of Pawling and surrounding areas. J.T.I. 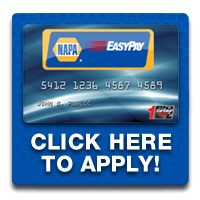 Auto Repair is a certified Napa Auto Care Center, we are able to provide the benefits of an established national entity while maintaining the personal touch of a locally owned business. We understand that your vehicle is a major investment, and that is why we care for each customer’s vehicle as if it were our own. J.T.I. Auto Repairs emphasis is on honesty and professionalism. We offer a friendly atmosphere for all customers, and are truly here to provide the best auto repair service. Contact J.T.I. at 845.878.3050 to schedule an appointment. Shop small, shop local. JTI is always spot on. Always fair. Highly recommended. Jerry is the best!!! So refreshing to find such an excellent mechanic!!! Thanks!!! My family loves JTI and all of their awesome work. 100% recommended!!! I would highly recommend this repair shop to anyone!! They are the most honest mechanics I have ever taken my car to. They always fix my car quickly and don’t push unnecessary parts or services. I will never take my car anywhere else. Best car service in the area! I will never go to another for automobile repairs! Amazing staff and incredible owner. These people are amazing! Instead of overcharging they actually try to save you money. I am a single, older woman and have been exploited by car people over the years. This place is like the old days where people had integrity and money wasn’t the bottom line. Jerry must sleep well at night and he deserves to. The most honest guys around – highly recommended brought my whole stable of cars there for service and inspections. He is honest. You get done what you need. He doesn’t try to sell you things you do not need. They are very through and won’t sell you something you don’t need. I have been dealing with Jerry for years and I trust him/JTI with my life literally considering they are working on my car. They treat me like family. Not just my brother in law…but he is the best around and never steers you wrong. Great repair shop and reasonable prices. One of the better repair shops around.